A set of three chunky emergency vehicles which link together with magnets. 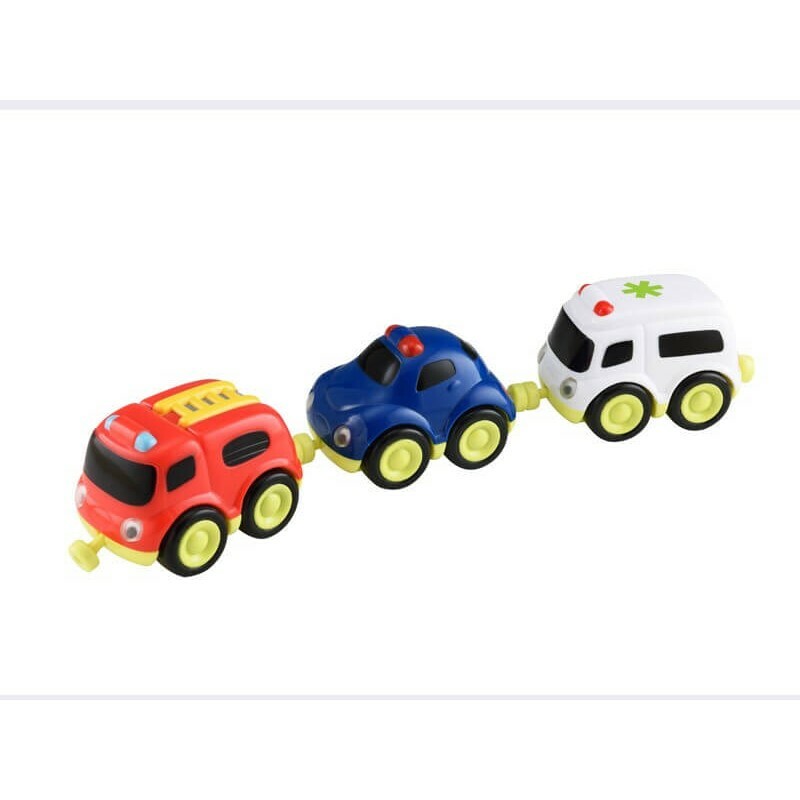 The Emergency Vehicle Set is great for encouraging movement and imaginative play: your little one can make lots of siren noises as they race to the rescue with the police car, ambulance and fire engine. They can race the vehicles against each other or connect them up with the magnets to drive them along all together. Playing with the cars will also help to strengthen little fingers and boost hand-to-eye coordination.